If you can fight your way through Bangkok’s crowds and traffic, its sweltering heat and black smoke you will find colors so bright, so alien that you will think you have found Marioland. 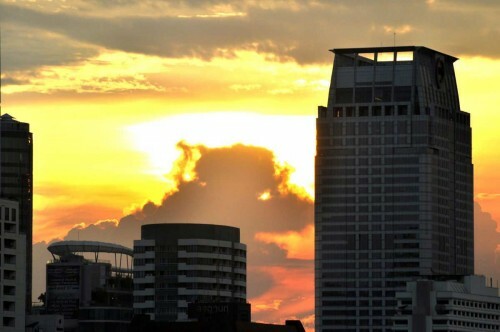 The Thais’ love for colors is deep and omnipresent wherever you look. The following showcase is a tribute to one of the most colorful cultures throughout the world. 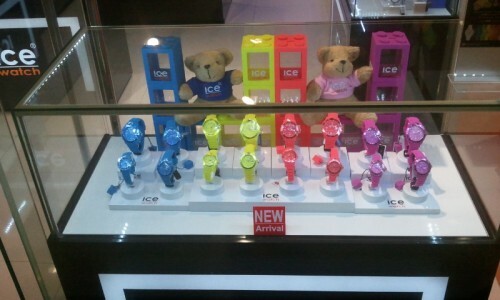 It will provide you not only with pictures in bright colors, bit also information about the meaning behind it. I hope you enjoy reading it as much as I enjoyed writing and photographing it. 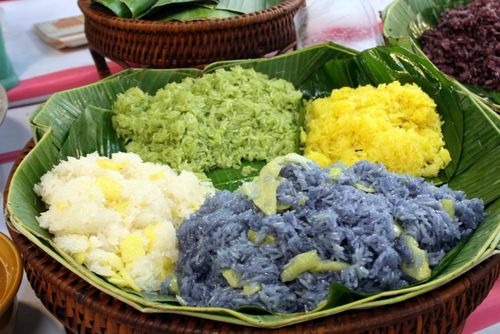 The Thais have even assigned a color to each day of the week. Monday is yellow, Tuesday is pink, Wednesday is green, Thursday is orange, Friday is blue, Saturday is purple and Sunday is red. A person born on a Monday will not only have yellow as his or her birth color, but the serious demeanor Thais associate with it – a characteristic that, according to Thai culture, is suitable for a career in medicine. 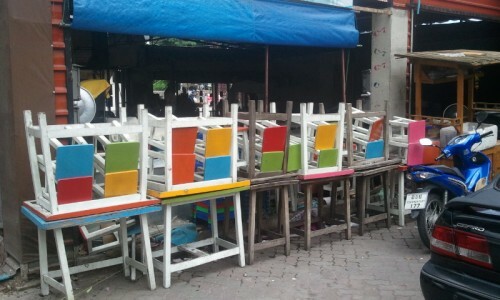 These colors are not a conscious attempt by the city to brighten up the lives of its inhabitants. Nor do they represent, as they may do for westerners, a land of wonder and opportunity. 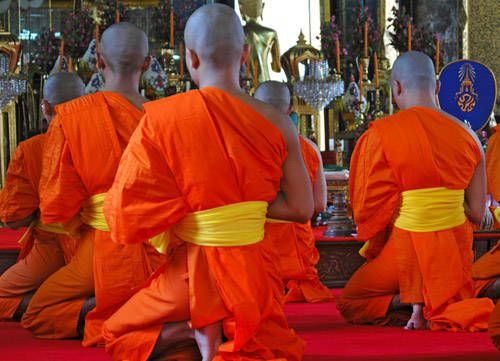 From politics to religion to day-to-day life they play an integral and sometimes divisive role in Thai culture; and have done for centuries. Above houses and restaurants and along the walls of bridges and public buildings – often from one end to the other – fly up to three flags: the national flag, the king’s flag and the queen’s flag. The colors on the Thai national flag represent the three parts of their culture they deem most important – the nation (red), religion (white) and royalty (blue). 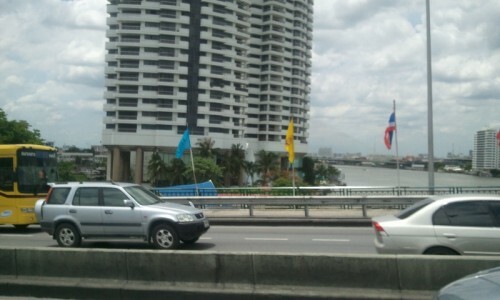 The yellow flag is the king’s flag. 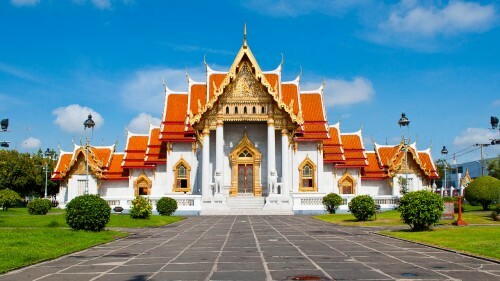 The royal crown and cypher in the center is a typical symbol for all Thai kings, but its yellow color refers to the present king’s (King Rama IX) birth color. The Queen was born on a Friday so her flag is blue. Until recently it was a common sight to see people wearing yellow shirts on a Monday and blue shirts on a Friday in honor of their king and queen. That changed when yellow became associated with the People’s Alliance for Democracy – a group against the present Thai government. Their opposition is the red shirts and the two often protest in the thousands at some of Bangkok’s most famous landmarks. To distance themselves from the conflict neutrals have taken to wearing pink. Today there are so many people wearing the color that people are beginning to believe their convictions are just as strong as either of the core political groups. 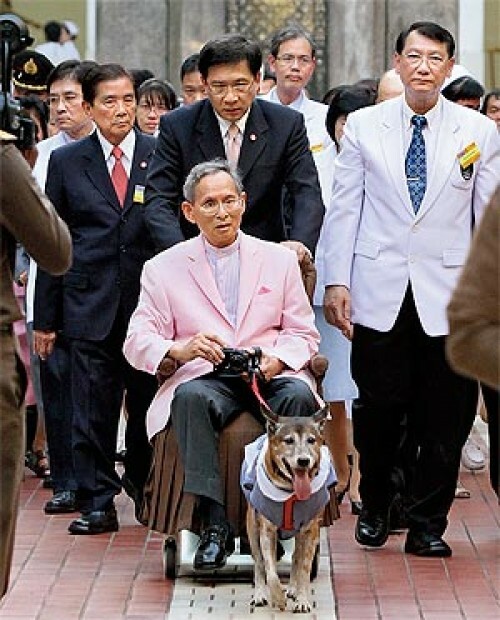 Many also started to wear pink when their king – after a long, serious illness – came out of hospital wearing a pink suit. He told the crowd that since pink was his lucky color, his personal astrologer had advised him to wear as much of it as possible. 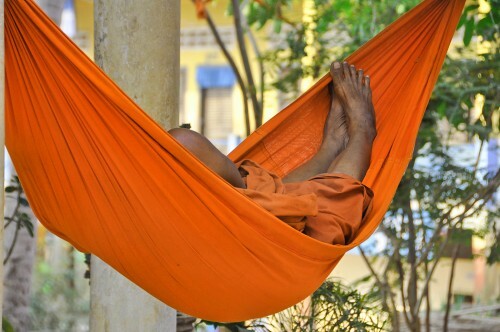 Despite that you will now often see a garland of pink flowers draped across the top of a Buddhist taxi driver’s rear view mirror or dangling down from a ceiling of a cafe, the colors Thais associate most strongly with their strand of Buddhism – Theravada Buddhism – are yellow and orange; as exhibited in their version of the Buddhist flag. and the glory of life itself. One of the city’s most stunning sights is the orange or gold temple roofs glittering in the sunlight. Thais also believe that guardian spirits – inherently good but occasionally mischievous – live on their land. 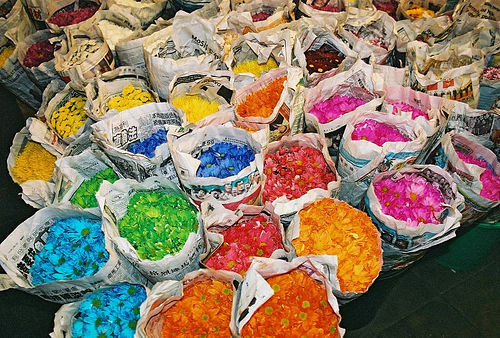 To placate them, and to provide them with a place to stay, they set up spirit houses outside their home or businesses, which they decorate with garlands of colored paper flowers. 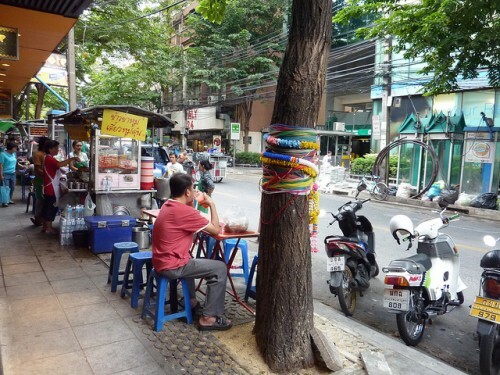 To mark a tree as a special spirit, the Thais wrap a colored scarf around its trunk. These are usually, but not always, fig trees; the tree Lord Buddha was sitting under when he found enlightenment. Yet as much as color for the majority of Thais can symbolize freedom of expression and peace, for the minority it can symbolize division and oppression: 25% of the population, for example, is non-ethnic Thai and 5 % of them are Muslim; a Thai can still be thrown jail for criticizing the king or damaging any property connected either to him or to the Buddhist religion. In this respect it is only in normal everyday life where the whole country feels truly free to celebrate their obvious love for color. While London has black cabs and New York has yellow cabs, Bangkok has pink taxis, orange taxis, purple taxis, green taxes, yellow taxis and taxis in various combinations of all five colors. Unlike the color of the taxis, which seem to signify nothing in particular, the color of a Bangkok bus signifies its fare, its age and whether or not it has air-conditioning. The newest buses, the orange buses, have air conditioning and a fare of up to 20 baht. The driver of these buses will stop picking up people when all he has filled all the seats. The blue bus also has air conditioning and also charges up to 20 baht, but travels further out-of-town. The red bus is an open aired bus and charges up to 5 baht. The smallest and oldest bus is the green bus. 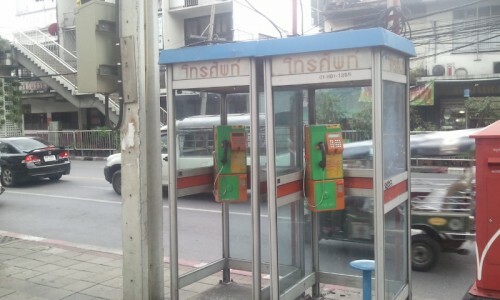 They cost only 3 baht and will continue picking up people until they are literally falling out of the doors and windows. Not pleasant in 100 degree weather and especially when you are the only person on the bus dripping in sweat. A tuk-tuk – basically a novelty taxi- is decorated in an interesting blend of colors, which likely depends on the driver’s own taste. 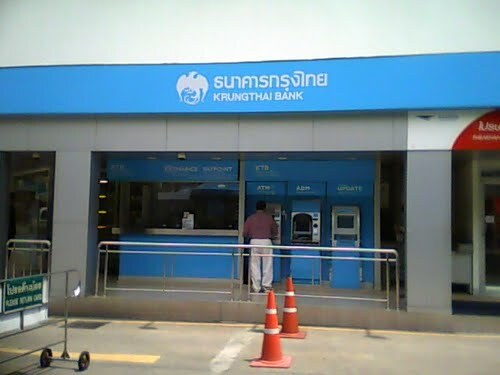 Banks such as the Siam Commercial Bank, the Krungthai Bank and the Krungsri bank are each represented by a single color. 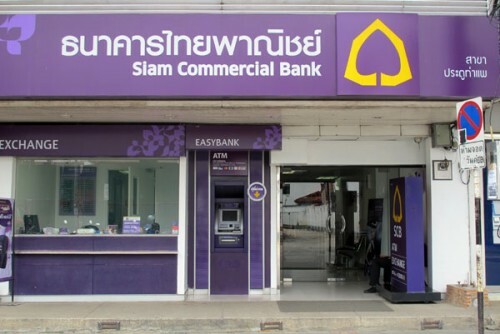 This bank is interesting because among the brighter colors is the color grey – a color usually associated with illness and consequently rarely seen in Thai culture. To me the grey communicates that this bank welcomes everybody. Starting from Sunday, each letter in the name of this mall represents a day of the week. It communicates that the mall is open every day and does so without the need for words. Isn’t that clever?. One of things I love is how even a market stall owners understanding of color is on a level with that of a professional window dresser. 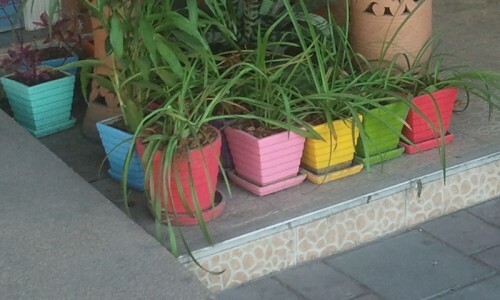 As final proof for the Thais’ instinctive love of color, the following pictures show how their use of color brightens even the most mundane of objects. Back to where you are! 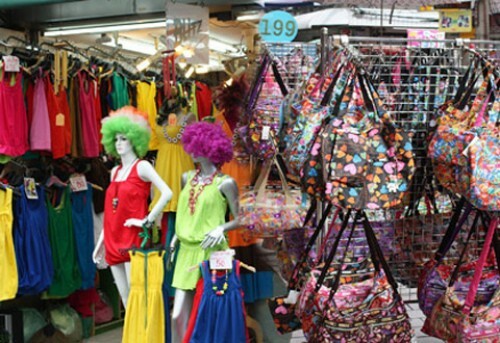 That sums up our little journey into the Thai culture and Bangkok’s (well, not only) colors. What colors do you associate with your country or even your local area? What do these colors mean to you? How much do we use colors to express ourselves? How effective is it as a mode of communication? Is color the new black? Simon travels through Asia, his camera always ready. From time to time he will share exotic experiences with Noupe's readers. Loved reading this post. Very inspiring for my tour to Bangkok next month! Very inspiring article! The pictures are all awesome. Great article and pictures! The colors in taxis do have meanings. Each color and design signifies the company that owns the taxis. Some are coops and they rent out the cars to the drivers. An exception is the green-yellow taxi. This means the car is owned by the driver himself. Many people prefer these green-yellow taxis because since the driver owns their cars they are more likely to take better care of the car and perhaps the passengers. Am I the only one that find it a bit disconcerting that such a powerful and influencal person as the Thai King has a personal astrologer? I love these photos! What an inspiration for a new app or website. as a massive traveler and designer I really enjoyed this post.. thanks! What a fascinating and informative article. 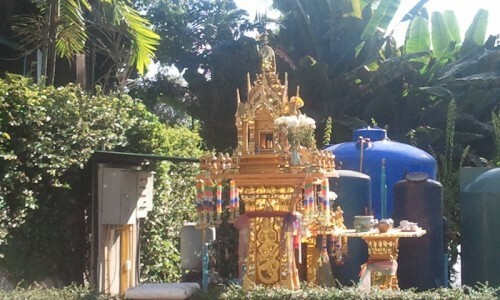 I had no idea of the importance of colours to Thai culture. Is the same true elsewhere in Asia?